Coloring/size is excellent. Chrome colored parts ( base & finial ) not quite as well done as expected. Good value. Do not like the “light” provided by free bulbs -will not use. The classic double gourd lamp is dressed up with antique silverglass in the Mercurio table lamp by Safavieh. 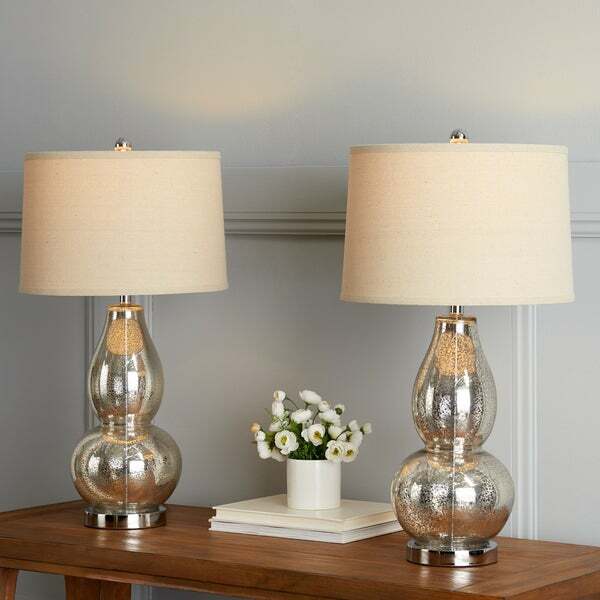 Accented with chromefittings, this set of two lamps is topped with an elegant drumshade in wheat for a fashion look in transitional rooms. Dimensions 28.5 in. H. x 15 in. W. x 15 in D.
Gorgeous! Perfect addition to any room! I bought two sets of these lamps since my bedroom does not have a ceiling light. They are stunning! They're a silver Mercury glass but the finish will pick up other metallic hues in the space. Love! 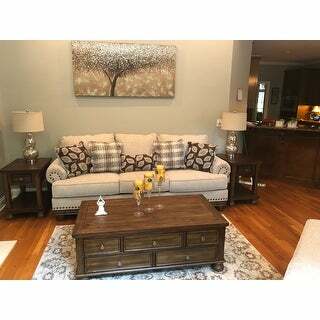 We love ordering from Safavieh because they have high quality products for a great price. A bonus is that they come in sets of 2. The lamp is exactly as pictured too. These lamps are gorgeous! I originally selected another set of lamps but was hesitant because they were much higher priced. I got these not only because of the price, but also the positive reviews, and I'm certainly glad I did. The color is a perfect blend of silver and antique gold with beige shades. When the lamps are on, they shimmer, and when they're off they do as well. They give an elegant vibe to both my nightstands. They were packaged well and assembly was easy and only took a few minutes. They even come with bulbs! I am pleased with my purchase. The picture doesn't do these lamps justice. I put them in my living room, and everyone who has seen them says they are beautiful. I am so happy I purchased them! Also, they are packaged so well, nothing was broke or damaged in shipping. Light bulbs were included, which was a nice little bonus. If you are wondering if you should order them, do it! You won't be sorry. The lamp shade is lighter than the picture, but still a nice color, the glass is utterly amazing. Once again, Overstock didn't let me down with their quality. I love the lamps. They are the perfect size and look great in my living room. 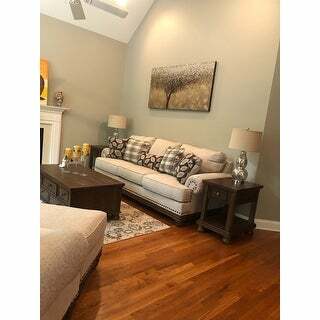 The silver color reflects the light and add an elegant look. I recommend them highly. Wow! These lamps are stunning! I bought them to class up my cabin bedroom and they do just that! I love the mercurio antique look, as it goes really well with rustic decor. The lamps came well packaged, in perfect condition and I was even pleasantly surprised to receive 2 - LED lightbulbs as well. Highly recommend! Beautiful lamps arrived in excellent condition with light bulbs. Looks perfect in our living room. We have mixed metal accent so this worked perfectly. Recommend! I love these--lovely and high quality. I've thought of ordering another set for our master. The rate for a set of 2 large table lamps is excellent. These lamps are beautiful, and I particularly love the darker shade. My husband was impressed with the bulbs that came with the lamps, but he very into that kind of thing, hah. These lamps look beautiful in my bedroom. Perfect height. Brightens up walls. Very happy. I was looking for the perfect lamps to go with our living room set and these were perfect. Love Love Love! Beautiful lamps!!! Look so nice in my dining room. Exactly what I wanted. Lamps are beautiful! I am very pleased with these lamps! Exactly what I was looking for! I would recommend these lamps! Love them! Looks great in my living room. Bought these lamps for my bedroom. While the glass is not quite as opaque as portrayed in the photos, I still like them. It's a very nice, substantial lamp and they look much more expensive than what I paid for them. An added bonus was that they came with their own LED light bulbs. 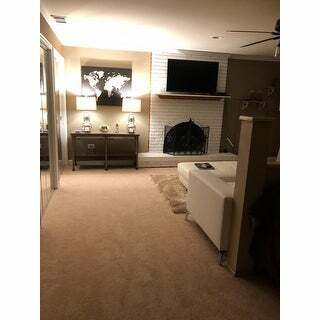 Absolutely love the lamps the size is perfect and they are just as pictured. These lamps glow when they are on. The mercury glass give a glamorous depth to the lamps. They look much more expensive than the purchase price so they are a great bargain. 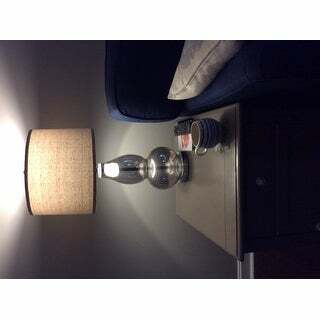 I was very nervous about glass lamps shipping but Safavieh packages these lamp very very well. The lamps look exactly like the pictures. Love it! Goes well with our bedside tables. The lamps are perfect! Just as pictured and easy to assemble! Will not regret buying them! 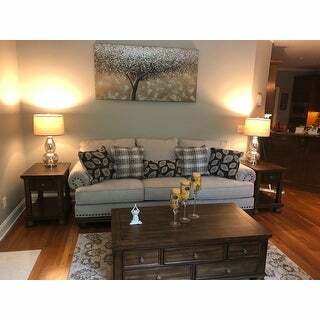 The height is perfect on the side tables and the cords are really strong. Love these lamps - looks just live the picture. Maybe even better. Nicely packaged. Stunning Lamps. We love them! The lamps are on our nightstands and compliment our bedroom furnishings with unique richness! They are a perfect muted, neutral tone.